Hjem » Hjem & Velværeprodukter » Duft diffuser » Duft spray » Goa duftspray - Hvit Musk 250 ml. 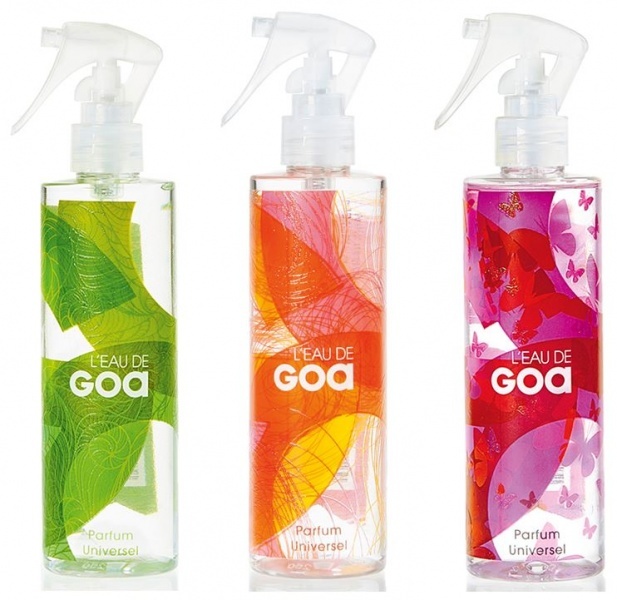 L’Eau de Goa debuts fresh and sparkly notes of bergamot and mandarin. At the heart is green tea blended with the soft, floral notes of orange blossom. Light woody base of cedar and white musk. Perfumier: Vincent Ricord, Expressions Parfumées. L’Eau de Goa is the first fragrance by Goa. The brand, renowned for their homeware products, wanted to create a ‘standard fragrance’ for both men and women. This fragrance for all the family could also be used to scent clothes, linen or your home thanks to its generous size.